What should advertisers, media agencies and the media pay particular attention to in the coming year? What new technology is it worth to try and use? What marketing approaches really work? What is the optimal media mix? In the end of the week, the leading international experts in marketing, advertising, media, communication, technology and entrepreneurship gathered for the 20th time in Portorož, Slovenia. 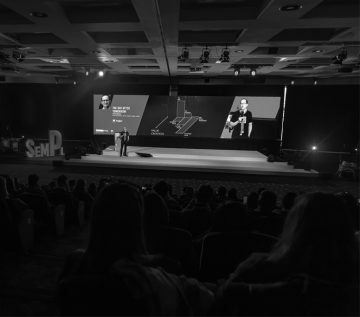 At the Media Trends Conference SEMPL, they gave many useful tips on how companies and their brands should thrive in a transformed media landscape, where new players are already born with a digital mindset. Based on their presentations, we have identified 10 trends and advice for you to follow in the near future to achieve your business goals. Various research by speakers at SEMPL highlighted the same fact: television is still the strongest advertising medium. “Innovative TV formats increase the unaided ad recall by up to 20%,” stressed Dr. Andrea Malgara, Managing Partner of Mediaplus, Germany, and added: “TV pushes spontaneous ad recall when combined with digital video.” Digital video, obviously, strengthens the television star. And not only that: TV is able to position the brand as more trustworthy or likeable and more relevant for purchase. Although online advertising has the ability to more accurately measure and monitor consumer behaviour, which allows advertisers to generate personalized ads, it still matters how does the ad look like. Consumers still want ads that are not only informative, but they also entertain them, move them, or attract their attention in any other way. “In the era when people’s attention dropped drastically, attention has become the most appreciated currency,” says David Bassett, Director of Analytics at Lumen Research, UK, where they conduct eye-tracking surveys. With the right mix of eye-catching and engaging creative and high attention media, advertisers can get their brands seen more and achieve strong ROIs. This involves turning much of digital advertising practice on its head, by investing more in creative development and putting a value back on context. In the era when (digital) influencers are springing up like mushrooms after the rain, and fake news and fake profiles flood digital and social media, authenticity is the only true value. Consumers became more cautious in the flood of content; they do not want to be taken for a fool and be persuaded that a content is ‘authentic’. They developed a kind of ‘radar’ for non-authenticity, which allows them to filter all redundant information. The authenticity of the content –and the person who publishes it– is therefore crucial. With her relaxed and open attitude, and above all her authenticity, Slovenian fashion designer Nina Šušnjara proved a power of authenticity. In her partnership with brands – as well as he posts on social networks — there is no room for pretence. Only honesty and authenticity lead to exceptional creative work in the long run. American brand expert David Brier also believes that brands should avoid using clichés, unoriginal ideas or over used ideas, as they are their biggest enemy. “If you are just blending in with your competitors, and you are not being seen as distinct, you do not have a unique voice and your story is unclear, you will just be another product on the shelf,” he warned. Market communications and marketing professionals, who have so far focused on how to create the most creative advertisement that will impress consumers and win awards at advertising festivals, will have to become friends with the data. This is the only way to be able to persuade their CEOs who are only interested in numbers that they deserve their seat on the board of directors. Neuromarketing expert Dr. Nikolaos Dimitriadis believes that the time has come for the marketer to take the role of a transformational leader. A transformational marketer should master four key skills: neuroscience, predictive analytics, innovation and creative decision-making. A new marketer must have predictive skills and has to be very proficient with the data. He has to have great creative problem-solving and decision-making skills,” he says. Serial entrepreneur and technological enthusiast– and a ‘nerd’ as he described himself– Peter Hinssen, who won the longest applause at the SEMPL conference, advises to devote some time thinking about the “day after tomorrow”. “With your daily work you create the current value for the company; focusing on tomorrow you create the future value, while thinking about the day after tomorrow you create the long-term value.” If you devote at least 10% of your time and other resources to thinking about what would happen in 10 years — and take action accordingly – you create a long-term value for the company allowing it not to only survive in an era of disruption but also to quickly grow and blossom. Traditional companies that rely too heavily on comfortable, but outdated business models will have to learn to think like start-ups. Many of them already gain new, innovative and disruptive ideas on various hackathons, as Daniela Bervar Kotolenko and Matej Golob, partners at CorpoHub, illustrated with the example of the IQOS smoking e-device. Bervar Kotolenko highlighted the key factors for the success: experienced mentor, support from top management, dedicated team, agile methods, a lot of effort and work, as well as motivation, inspiration and creativity. Dutch serial entrepreneur Jurgen Appelo, an ardent advocate of agile and lean organisations, stressed the importance of focusing on the consumer at every touch point of his purchasing journey, which is common to all successful companies. In doing so, techniques such as A / B testing, product vision and lean personas are used. Innovative funnel, in which the bad ideas are excluded and only the best are retained, are in the very heart of the organizational structure of such companies, which enables them the necessary agility. Jurgen Appelo is convinced that mistakes and failures of the company are not something fatal. All successful companies are experimenting all the time: “They are not afraid that they will fail, but they try to minimize their mistakes, so that they can survive each of them without much damage.” Without experimentation, there is no learning, thinks Appelo. Dennis Yuscavitch, VP of Global Product Marketing at Outbrain, also advises traditional businesses to learn from those who have already been born into the digital world. “Digital-first brands are not afraid of failures, they often make mistakes and learn a lot from them. And above all, they are directly obsessed with consumers,” said Yuscavitch. On SEMPL’s stage two tech giants, Facebook and Viver, also introduced their solutions. Rustam Ziganshin, Reseller Partner CEE at Facebook, emphasized the importance of the “mobile-first” approach, as the use of mobile devices is increasing all over the world. The video has become an actual driver of discovery, consideration and purchase, which is not surprising as people are consuming video all throughout their day. This also requires a different thinking of brands, which should focus more on mobile platform strategies. 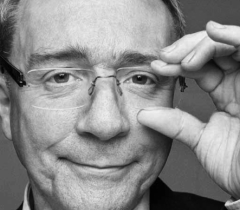 “Mobile-first strategy is about mass personalisation instead of mass marketing,” he outlined. Atanas Raykov, Director Business Development CIS & CEE at Viber, talked about the importance of communities, which this mobile app for calls and short messages inspires. “Messaging is no longer only about exchanging text messages with friends and family, but having more immediate, secure and personal communication with larger groups formed by common interest, belief or need,” he stated. And this is definitely something that brings new opportunities and challenges for advertisers as well. Our popular store, where we buy groceries, is no longer just the place of meeting with neighbours and acquaintances (and talkative cashiers), but it is becoming the laboratory in which retailers and advertisers observe customer behaviour. This is especially facilitated by smart shopping carts. “Visiting a supermarket, an average consumer pays actively attention to approximately 0.3-0.8% of all the products displayed. Up to 25-30% of these products actively noticed by the consumer will end up in the shopping cart. The challenge for FMCG brands is how they cost-efficiently increase the probability of being relevantly visible during shopping rounds and how to communicate personally with the customer when he or she is about to make the final purchase decision,” says Ahti Leväaho, Chief Marketing Officer at Smartcart from Finland. Smartcart offers an answer to this challenge as it develops smart shopping carts that make purchasing a lot easier, faster and more fun. Leväaho claims that they are revolutionising the shopping experience in physical stores. New findings in artificial intelligence are astounding. It is invisibly permeating all the pores of our lives; just think of how successfully it helps us navigate the unknown roads or recommends products and services to our liking, while smart voice assistants like Alexa “socialise” with our children. Neither genetic experiments are something unimaginable. As Dean Donaldson, director of Kaleidoko, UK, pointed out, people will begin to increasingly ask “why am I what I am”. “Social media will become genetic media, and science fiction is now a scientific truth.” So, you will not only find friends from elementary school, but genetic media will also help you look for ancestors from 200 years ago. And you will be advertised on the basis of your genetic profile. Donaldson says that the “matrix” (as everyone remembers the shocking future predictions from the film Matrix, right?) is already here, and it is now on us how we will respond to it. "SEMPL was a very enjoyable conference for me. An interesting mix of people that introduced to a region that I know relatively little about. Great venue and location too."